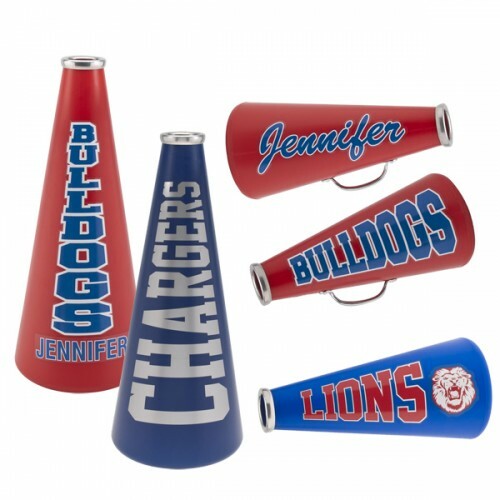 Nothing screams Cheerleader like a Cheerleading Megaphone from Cheer Etc. 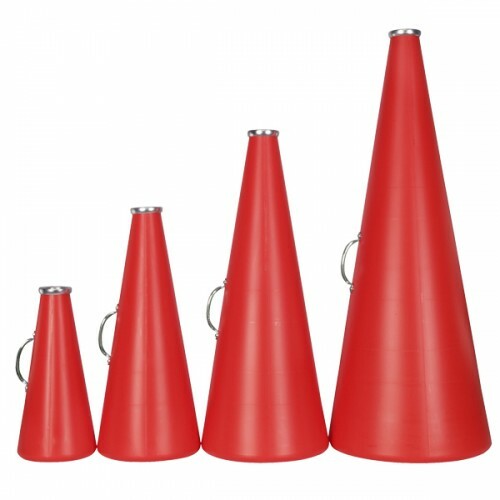 Offered in a variety of colors and sizes, these megaphones are made from a Lightweight molded plastic construction. The aluminum mouthpiece has a special "germ-resistant" polish. Virtually indestructible, these molded plastic megaphones are lightweight and waterproof. They can be painted, striped with colored tape or decorated with school decals. Features include a rolled edge on large end for added strength, plated metal mouthpiece, metal handle. This is the Original Plastic Megaphone, preferred by schools & colleges since 1970. Make sure your fans can hear you and get them cheering for your team with megaphones for your squad today!